Israel's geopolitical situation makes air transportation a vital factor in maintaining its connections with the rest of the world. The Israeli aviation sector has undergone major changes in recent years. The first of these was the enactment of the Aviation Services Law (Compensation and Assistance for Flight Cancellation or Change of Conditions) 2012 (ASL), establishing passenger rights, similar to those under Regulation (EC) No. 261/2004, to compensation and other benefits in the case of flight delays or cancellations and denial of boarding (as a result of overbooking, etc.). Another major change was the liberalisation of Israel's policy on bilateral and multilateral air services agreements and the resulting signature of the EU–Israel Open Skies Agreement in 2012.2 This change in policy has resulted in a significant increase in the operations of foreign airlines (including low-cost airlines) and the frequency of flights to and from Israel, as well as a decrease in air fares. Thus, for example, in 2012, 12,400,800 international passengers passed through Israel's main international airport, Ben Gurion Airport (BGA), while in 2017 the number was 20,187,506 – an increase of 62 per cent.3 This number is expected to grow in the future, taking account also of the opening of another international airport in Eilat, in the south of Israel. The Israeli Ministry of Transportation (MOT) has primary responsibility for regulation of the aviation sector. In 2005, the MOT established Israel's Civil Aviation Authority (CAAI) to oversee, regulate and supervise all aviation-related matters, including the issue of aviation licences and permits. The body responsible for airports is the Israel Airports Authority. The Aviation Security Operation Centre (ASOC) in the Security Department of the MOT oversees aviation security. Aviation security is a priority in Israel in the light of constant terrorist threats. Operating permits will not be granted unless ASOC has received and approved written confirmation of compliance with ASOC's security requirements from the relevant foreign airports and airlines. Israel is party to several international aviation-related conventions governing the liability of air carriers in international carriage, including the Warsaw Convention 1929, the Guadalajara Convention 1961, the Montreal Convention 1999 and their respective protocols. These conventions have been given effect in Israeli domestic law by the Air Transport Law 1980 (ATL). Section 3B of the ATL provides that where both the Montreal Convention and another of the conventions adopted by the ASL apply, the Montreal Convention will govern. Israel is also party to the Chicago Convention on International Civil Aviation 1969, adopted into domestic law by the Air Navigation Law 2011 (ANL), and to the Tokyo Convention 1944 on offences and certain other acts committed on board aircraft given domestic effect by the Air Navigation Regulations (Offences and Jurisdiction) 1971. Under Section 338(a)(2) of the Penal Law 1977, the reckless or negligent operation of an aircraft, in a way that could endanger human life or result in injury, is a criminal offence punishable by a prison sentence of up to three years. Civil aviation operations (including the operation of helicopters and gliders) are governed by the ANL and the regulations enacted thereunder. The ANL regulates the identification and registration of aircraft, licensing and training of personnel, airworthiness of aircraft, general operating and flight rules, commercial air services and air navigation services. Passenger rights are regulated pursuant to the ATL by the Montreal Convention (or other applicable convention) and the ASL. The ASL is a pro-consumer act of legislation that regulates passengers' rights and carriers' duties, including those relating to payment of compensation in the case of flight delays, cancellations, denial of boarding and downgrading.8 The ASL also provides that in cases of flight delays of two hours or more and flight cancellations, the carrier is obliged to provide passengers with ground assistance, including communications services, food and beverages and, in some cases, hotel accommodation. In the spirit of the pro-consumer nature of the ASL, the Israeli courts have given a narrow interpretation to the provision in the ASL exempting the carrier from the obligation to compensate passengers in cases of delay and cancellation of flights where the delay and cancellation were caused by 'special circumstances' beyond the carrier's control, so that, in general, technical malfunctions in an aircraft will not constitute such circumstances, unless the malfunction is proved to be rare and not to have been preventable by performance of proper maintenance. Loud noise generated on low-altitude flight routes near populated areas may constitute a nuisance to residents of those areas. With a view to reducing the extent of this nuisance, the Israeli Ministry of Environmental Protection, in conjunction with the Israel Airports Authority, has issued rules governing the construction and planning of airports. Other measures directed to the same purpose include the imposition of night and weekend curfews and the requirement that compliance by an aircraft with the Flight Regulations (Aircraft Noise) 1977 is a condition for issue of a flight permit. Israel has strict anti-bribery rules. It is a member of the OECD Convention on Combating Bribery of Foreign Public Officials in International Business Transactions, and gave domestic effect to the Convention on 11 June 2008 by adding Section 291A to the Penal Law 1977, providing that a person giving a bribe to a foreign public official for an activity related to his or her position, in order to obtain, secure or promote business activity or other advantage in respect of business activity, shall be deemed to have committed bribery under Section 291 of the Penal Law. For competition legislation, see Section VI. The Licensing of Aviation Services Law 1963 (LASL) and the ANL regulate the licensing of aviation-related activities. An Israeli individual or entity will not be permitted to operate aircraft for commercial purposes without a commercial operating licence (COL) from the MOT and an air operator certificate (AOC) from the CAAI. Foreign individuals and entities are not eligible for an Israeli COL or AOC. In order to obtain a COL, the applicant operator must submit evidence of its financial resources, details regarding its operations, crew qualifications and experience and consumer-related details. The MOT has the power to grant, suspend and cancel the COL and determine its period of validity. The issue of an AOC is conditional on possession of a COL and subject to proof that the applicant possesses adequate aircraft and facilities for the operations in question. A detailed list of requirements for the AOC application is set out in the Air Navigation Regulations (Operation of Aircraft and Flight Rules) 1981 (ANR).11 The CAAI will grant an AOC only if it is satisfied that the applicant is capable of performing the operations in question in a safe manner. The AOC will be valid for a period of two years and may be renewed by application filed at least 60 days prior to expiry. For commercial aviation operations from, to and within Israel, the operator must obtain operating permits from the CAAI (see subsection iii). According to the ANL, an individual shall not perform a function in connection with the operation of an aircraft, the performance of aircraft inspections or the provision of air traffic management services, without possessing a licence from the CAAI unless he or she is in possession of this licence from a competent authority in a contracting party to the Convention on International Civil Aviation 1944 (the Chicago Convention). the operation of an unmanned balloon, kite or rocket, radio models, small airplanes and training airplanes. The conditions for the granting of licences are set out in the ANL and the ANR. The CAAI has the authority to revoke, suspend and limit licences granted if, inter alia, one of the conditions for receiving the licence has ceased to exist or the licensee has violated any of the conditions of the licence or any of the provisions of the ANR. According to the LASL, a COL will only be granted to an Israeli operator that is one of the following: (1) an individual who is a permanent resident of Israel without a principal place of business outside Israel or an Israeli citizen who has a principal place of business in Israel, or (2) a company incorporated in Israel without a principal place of business outside Israel and controlled by an Israeli citizen or a permanent resident of Israel, or by another person in accordance with the provisions of an international aviation convention to which Israel is a contracting party. Regarding foreign carriers, there are no explicit rules relating to nationality or citizenship, but the LASL authorises the MOT to refuse to grant an operating permit if the applicant carrier is deemed a potential danger to the security of Israel. Pursuant to the LASL, foreign carriers must obtain an operating permit from the CAAI for operation of passenger or cargo flights from, to or within Israel. According to the LAS and the AIP, a foreign operator wishing to fly to and from Israel must be eligible to carry out the flights under the provisions of a bilateral or multilateral agreement to which the state of the foreign operator and Israel are contracting parties. In order to carry out non-scheduled commercial flights, a foreign operator must apply for and be granted an operating permit according to CAAI Directive AT.1.1.402.15 The application requirements are similar to those relating to an application for an operating permit for scheduled commercial flights and also include, where applicable, the submission to the CAAI of any relevant charter agreement. Israel complies with the accepted international standards in the field of safety. The Israeli safety regulations are based on the Chicago Convention, the safety rules of the International Civil Aviation Organization (ICAO) and the US Federal Aviation Regulations. Israel is a participating state in the European SAFA Programme. Furthermore, in 2016, Israel entered into a collaboration agreement with Eurocontrol, the European Organisation for the Safety of Air Navigation, which engages in airspace planning and air traffic management. The collaboration agreement provides Israel with access to aviation services, including air navigation services and control, in a way that increases its ability to prevent flight delays and manage air traffic more efficiently and safely. The aviation maintenance requirements are regulated in the ANL, in Chapter 7 of the ANR and in the CAAI directives. The air operator is under a duty to perform routine aircraft inspection and maintenance and to repair any malfunctions detected in the aircraft, and to ensure that all staff members have the proper qualifications.18 In December 2017, in order to bring the Israeli standards in line with the European regulations, the MOT enacted the Air Navigation Regulations (Safety Management System) 2017, which deal with organisational aspects of safety management such as assignment of responsibilities, raising awareness, education and documentation duties. Supervision of competition in Israel, including in the aviation sector, is by the Israeli Antirust Authority in accordance with the Israeli Restrictive Trade Practices Law 1988 (RTPL). The RTPL deals with restrictive arrangements, mergers and acquisitions of companies and monopolies. Entering into a restrictive arrangement is prohibited unless the arrangement is expressly permitted by or pursuant to the RTPL, the Restrictive Trade Practices Tribunal (the RTP Tribunal) or exempted by the Director General of the Antitrust Authority. Amendment No. 10 to the RTPL, dated 11 January 2007, rescinded the exemption in the RTPL applying to arrangements in the field of aviation. As a result, arrangements for cooperation in marketing flight capacity became restrictive arrangements necessitating receipt of regulatory approval. Following signature of the US–Israel Open Skies Agreement in 2010 and the EU–Israel Open Skies Agreement in 2012, two block exemptions relating to aviation were enacted: a block exemption for code-share arrangements between air carriers relating to destinations covered by the Open Skies Agreements;26 and a block exemption relating to technical arrangements between carriers, arrangements for the lease of aircraft, frequent flyer arrangements, interline arrangements and flight capacity marketing arrangements.27 A restrictive arrangement that is not covered by the block exemptions or the additional exemptions listed in Chapter B of the RTPL, will need the prior approval of the RTP Tribunal. The ATL provides that a court dealing with a claim filed for damages resulting from the death of a passenger may issue orders it deems just or helpful having regard to the provisions of the ATL limiting the liability of the carrier, to the rights of other persons entitled to claim damages, whether in or out of Israel, for the death of that passenger and regarding other claims that have been or may be filed, whether in or out of Israel, with respect to the death of that passenger.33 The ATL also provides that where there are several claimants as a result of the death of one passenger and the aggregate amount of damages due to all of them exceeds the liability of the carrier under the other provisions of the ATL, the court will award to each of them, out of the aggregate amount of damages due, an amount proportionate to the amount of damages that it would have awarded to such claimant. We are not aware of Israeli case law relating to the death of a passenger during carriage by air and providing authoritative interpretation of the relevant provisions. There is no sector-specific regulation regarding the fora and mechanisms to be used in the settlement of claims, so the general rules of Israeli Civil Procedure are applicable.34 There is also no compulsory alternative dispute resolution scheme in force in Israel with regard to aviation disputes. However, there is an experimental programme being implemented in several magistrates' courts, which requires parties to certain civil disputes to attend a mandatory 'information, familiarity and coordination' meeting with a court-appointed mediator, in order to consider the possibility of mediation. Claims under the ATL and the Montreal Convention (and other applicable conventions) must be brought within two years from the time the cause of action arises.35 Claims under the ASL must be brought within four years from the time the cause of action arises.36 In other cases, the general rules relating to prescription of claims laid down in the Israeli Prescription Law 1958, will apply. That Law provides, subject to certain qualifications, that any action, other than an action relating to land, shall not be brought after the expiration of seven years from the date on which the cause of action arose. The nature of a carrier's liability will depend on the cause of action concerned. It is strict in respect of convention liability, where the relevant conditions of liability contained in the convention are met.39 Any convention liability will also be subject to an applicable limit of liability contained therein.40 Otherwise, liability will generally be fault-based.41 The plaintiff usually bears the burden of proof, but there are circumstances in which the burden is transferred to the defendant. The requisite standard of proof is the balance of probability. Even though the plaintiff usually bears the burden of proof, in claims that are based on negligence, the res ipsa loquitur rule may result in transfer of the burden of proof to the defendant carrier. In claims based on the ASL, the burden to prove that a delay or cancellation was caused because of special circumstances lies on the flight operator. According to the Israeli aviation legislation (giving effect to the international conventions), the duty of the air carrier to compensate an injured party is based on the principle of strict liability, subject to the monetary limits laid down in the conventions and reflected in the Israeli legislation. The National Insurance Law 1968 (NIL) provides for payment by the National Insurance Institute of a general disability pension to a person covered by the NIL who has a physical, psychological or mental disability resulting in limited earning capacity. To the best of our knowledge, there are no voluntary reporting provisions or initiatives in Israel. In Zemah v. El Al Israel Airlines Ltd, the Supreme Court considered the right of airlines to charge passengers cancellation fees under the CPL where a number of tickets were purchased under one booking.46 In ruling in favour of the airline, the Supreme Court found that international law and conventions acknowledge a need for unique regulation of the consumption of aviation services. The Court held further that flight tickets create a special and personal relationship between the passenger and the airline and, accordingly, that any cancellation of a ticket should be viewed as the cancellation of a transaction, regardless of the manner in which the tickets were purchased, entitling the airline to charge a cancellation fee per ticket under the CPL. In Levin v. Israir Airlines & Tourism Ltd, the district court denied an application for certification of a class action based on an allegation of systematic breach of the obligation under the ASL to provide passengers with ground assistance in cases where flights are delayed for two hours or more.47 Though the application was denied, the court took the opportunity to determine that because the ASL was enacted after the ratification of the Montreal Convention, the provisions of the ASL prevail over corresponding provisions of the Montreal Convention and, therefore, if the ASL entitles a passenger to receive ground assistance, such right cannot be denied by the Montreal Convention. Further, the court found that the right to receive ground assistance imposes an absolute duty on the carrier in the event of a flight delay of two hours or more regardless of the underlying reasons for the delay. The Court also indicated that in view of the relatively minor damage caused to all the passengers on the specific flight, and the fact that it was not proven that the carrier's behaviour was systematic and not merely a sporadic violation of the ASL, the suitable proceeding in this type of case was not a class action but rather a claim for exemplary damages under Section 11 of the ASL. In recent years, there has been remarkable progress in Israel in the field of aviation safety. According to the CAAI, the country is experiencing a yearly downward trend in the number of serious safety accidents and incidents.49 In 2016, the ICAO awarded Israel a special certificate of appreciation for its achievements in promoting aviation security based on international regulation. The pro-consumer tendency of the Israeli regulators and legislators is expected to continue and to evolve. A bill for the amendment of the ASL in favour of the passenger, including the grant of enforcement powers to the Consumer Protection and Fair Trade Authority and allowing the passenger the choice of the relevant law applying to his or her claim, is already pending approval. Another issue that is expected to receive attention is whether flight delays of three hours or more should entitle the passenger to monetary compensation, as is the case in Europe and other countries on the basis of judicial interpretation of Regulation (EC) No. 261/2004. Another pending bill relates to a provision that would prohibit flight operators from charging a price for a one-way ticket exceeding the price charged by it for a return flight ticket for the same destination. On the other hand, the number of motions for certification of class actions is expected to decrease as the result of a change in the court fees regulations directed to diminishing courts' heavy workload and imposing a large filing fee for class action certification motions. 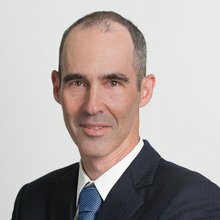 1 Eyal Doron is a partner and Hugh Kowarsky is of counsel at S Horowitz & Co.
2 Signed and initialled by Israel and the EU Member States on 30 July 2012 and approved by the Israeli government on 21 April 2013. 3 'Ben Gurion International Airport Activity Summary Annual Report 2012' and 'Annual Report Ben Gurion International Airport' for 2017 – http://brin.iaa.gov.il/monthlyreport/ViewReportEng.aspx. 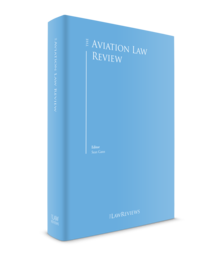 4 The AIP is published by the CAAI and is prepared in accordance with the Standards and Recommended Practices (SARPs) of Annex 15 to the Convention on International Civil Aviation and the Aeronautical Information Services Manual (ICAO Doc 8126). 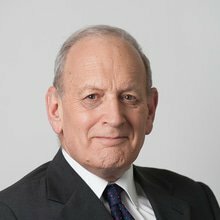 5 Civil Appeal 36/84 (Supreme Court) Teichner v. Air-France, French Air Lines (6 January 1987); see also Civil File 1818/03 (District Court) El-Al Israel Airlines Ltd v. David (7 July 2004). 6 Section 5(a) of the ATL. 7 Because domestic flights are relatively cheap, the sums awarded in cases of flight delay or cancellation are low (again modifying the provisions under the ASL for international flights). 8 As in European Regulation 261/2004, the sum of compensation is dependent on the flight distance. 9 The relevant provision has been inserted in the Licensing of Air Services Law 1963 by Section 23 of the ASL. 10 The application of the CPL to foreign entities, including foreign airlines which do not have a representative office in Israel, is an as yet unresolved issue awaiting the decision of the Israeli courts. 11 Section 374 of the ANR. 12 Directive AT.1.1.400 'Granting an Operating Permit for Scheduled Flights to and from the State of Israel'. 13 Security Directive 0101-16 (2016) of the MOT Emergency, Security and Cyber Division. 14 Section 8C(a1) of the ASL. 15 Directive AT.1.1.402 'Granting an Operating Permit for Charter Flights to and from the State of Israel'. 16 ASOC controls the security procedures for the arrival of aircraft into and through Israeli airspace. 17 CAAI Directive AW 1.4.103 (2015) 'Issuance/Renewal/Modification of Certificate of Airworthiness', CAAI Directive AW 1.4.231 (2015) 'Airworthiness Directives Publication', CAAI Directive AW 1.4.301 (2015) 'Issuance of Initial Certificate of Airworthiness'. 18 Regulation 125 of the ANR. 19 Section 107 of the ANL empowers the MOT to appoint a chief investigator to coordinate the investigation of safety-related incidents. 20 Sections 96 and 114 of the ANL. 21 CAAI Directives GEN 4.0.500 (2014) 'Report on Safety-Related Incident – Receipt and Handling'. 22 Regulations 1-2 of the ARCI. 23 Regulation 5 of the ARCI. 24 Regulation 4 of the ARCI. 25 Regulation 12 of the ARCI. 26 Restrictive Trade Practices Rules (Block Exemption for Arrangements between Air Carriers Concerning Marketing Flight Capacity to Destinations Covered by Open Skies Agreement) (New Version) 2012. This block exemption is valid until 9 November 2022. 27 Restrictive Trade Practices Rules (Block Exemption for Arrangements between Air Carriers) (No. 2), 5774-2013. This block exemption is valid until 1 December 2018. 28 Section 19 of the RTP Law. 29 Section 21(a) of the RTP Law. 30 Section 47 of the RTP Law. 31 Article 21(1) of the Montreal Convention. 32 Article 21(2) of the Montreal Convention. 33 Section 13 of the ATL. 34 Established by the Israeli Courts Law [Consolidated Version] 1984 and the Israeli Civil Procedure Regulations 1984. 35 Article 15 of the ATL and Article 35 of the Montreal Convention. 36 Section 19 to the ASL. 37 See Civil File 2474/86 Nezer v. Kanfonit (1994). 38 Sections 11 and 84 of the Civil Wrongs Ordinance (New Version). The allocation of liability between wrongdoers inter se may be the subject of a contract between them (e.g., a contract whereby one party undertakes to indemnify and hold another harmless). 39 See Section II.i and ii, above. 40 See, for example, Articles 21 and 22 of the Montreal Convention, as incorporated into Israeli law under Section 6 of the Air Transport Law. 41 However, see Section II.iv, above. 42 Sections 1 and 2 of the DPL Law. Section 4 of the DPL Law lists a number of defences available to a manufacturer, e.g., that arising if the manufacturer can prove that the defect that caused the damage manifested itself after the product had left the manufacturer's control, and provided the product had undergone reasonable safety inspections. 43 Civ. App. 20/83 Solomon Dadon v. Air France French Air Lines Ltd (22 October 1984). 44 Civ. App. 1346/05 Iberia Spanish Air Lines SA v. Dr. Lorber Margalit and 57 Others (9 April 2006). 45 Section 11 of the ASL. 46 Civil Further Hearing 5783/14 Zemah v. El Al Israel Airlines Ltd (9 September 2017). 47 Class Action 24969-06-15 Levin v. Israir Airlines & Tourism Ltd (9 January 2018). 48 'Antitrust Authority Opposition Reasons for Merger of Sun D'or International Airlines Ltd and Israir Airlines and Tourism Ltd', 28 January 2018, published on the Antitrust Authority website (in Hebrew): http://www.antitrust.gov.il/item/34965/search/b8d4f1dfcc0a44b8aa44283ff88c577f/highlight/%D7%99%D7%A9%D7%A8%D7%90%D7%99%D7%99%D7%A8.aspx. 49 'Summary of Safety for 2016' CAAI (2017) – http://caa.gov.il/index.php?option=com_docman&view=download&alias=6830-2016-12&category_slug=2015-10-13-06-38-50-2&Itemid=669&lang=he.